I'm very excited to share some fun news about The Weekend Gourmet's next travel adventure with you today! My team is set to hit the road later this week for an epic New York Summer road trip! We'll start out with a quick visit to NYC to visit a few of our essential restaurants and attractions. Then, we'll pick up a rental car Friday evening and drive to Cooperstown for the weekend to see Houston Astros legend Jeff Bagwell inducted in the National Baseball Hall of Fame and Museum. Finally, we'll head to Niagara Falls and Buffalo to see one of the world's most scenic natural wonders...and sample an iconic American dish. This trip has a bit of everything, and we're really excited to experience this once-in-a-lifetime adventure. We don't have much time in NYC, but we're making it count! Being foodies, we HAVE to sample a few of our favorite NYC treats...including Lombardi's Pizza and Doughnut Plant for our artisan doughnut fix. Lombardi's -- the FIRST pizza restaurant in America! 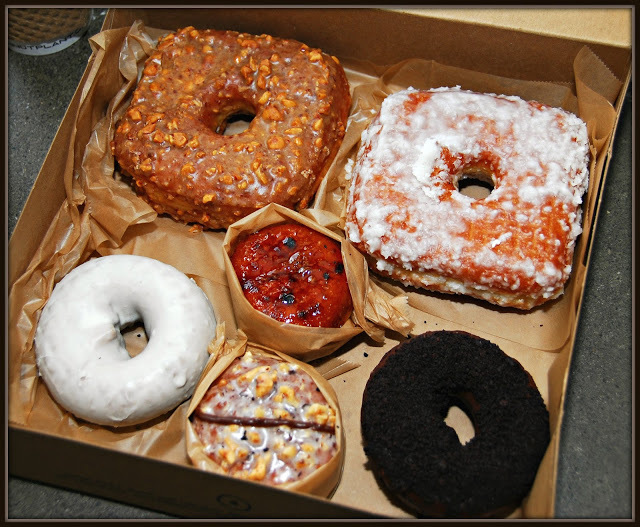 Doughnut Plant -- truly to-die-for artisan doughnuts! We're not just eating our way through NYC, though...at least, not entirely! 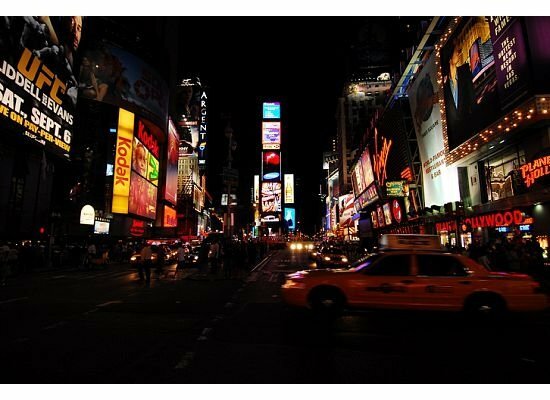 We also plan to catch some late-night live jazz at Jazz at Lincoln Center's intimate Dizzy's Club Coca Cola club, enjoy a nighttime view of always-buzzing Times Square, and check out the amazing and educational Frank Lloyd Wright at 15o exhibit at the Museum of Modern Art! Then? We hop in a car and head 4 hours north to Cooperstown! 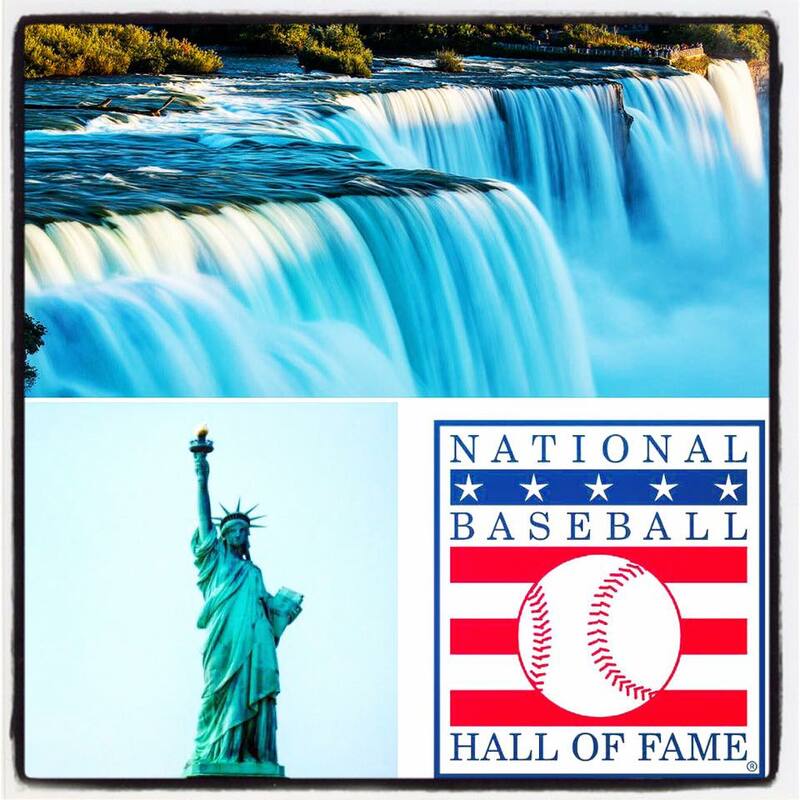 The second leg of our New York adventure will take us to Cooperstown in upstate New York for the annual Baseball Hall of Fame Weekend! A visit to Cooperstown to see this amazing baseball museum is a must for all true baseball fans. 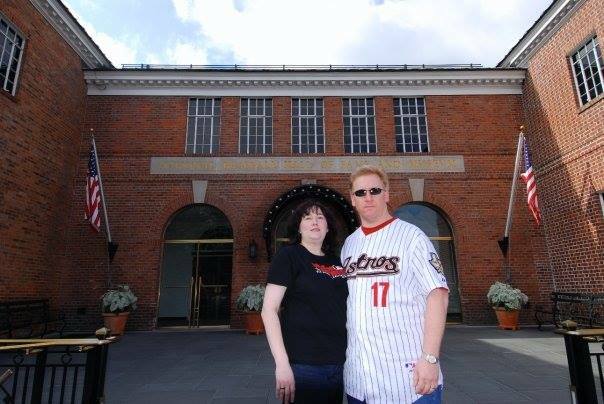 Michael and I first visited Cooperstown in 2008 and vowed to come back when Houston Astros players Craig Biggio and Jeff Bagwell were both inducted into the Hall of Fame. Biggio was inducted in 2015, and Bagwell will be inducted next weekend. We are fortunate to witness this event in person! We'll be in Cooperstown to enjoy all of the Hall of Fame induction weekend events on Saturday and Sunday -- and we'll be sharing them via our social channels so our social media followers can join us along the way! After the weekend's festivities wrap up, the third leg of our road trip will take us to northwest New York...Niagara Falls and Buffalo. Our overnight visit to the area will find The Weekend Gourmet crew enjoying gorgeous scenic views of Niagara Falls and an up-close-and-personal view of the power of Mother Nature via a Maid of the Mist boat tour of the Falls. We also plan to sample two iconic Buffalo culinary specialties while we're in the area: roast beef on 'weck sandwiches and Buffalo wings. Not just any wings, mind you. We're eating Buffalo wings where they were invented in 1964: Buffalo's Anchor Bar. Boom! 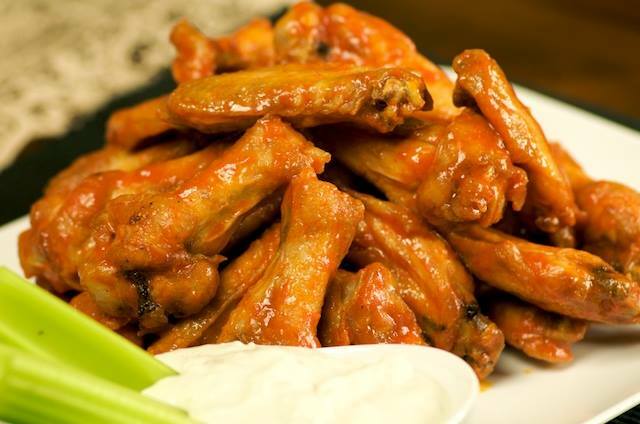 We'll sample their legendary wings and learn a bit about the history of how the Buffalo wing was created...and how wings became a staple around the world over the past 50+ years. Doesn't this picture from Anchor Bar make your mouth water?!?!? What a fun -- and tasty -- way to end a truly epic New York road trip! Be sure to follow The Weekend Gourmet on our Facebook, Instagram (WEEKENDGOURMET), and Twitter (@TheWeekendGourm) feeds starting on July 27th for tons of live video, pictures, etc. from every leg of our journey. It's going to be an adventure you won't want to miss! Disclosure: Portions of The Weekend Gourmet travels are provided to us by restaurants, hotels, attractions, etc. to facilitate inclusion. However, we only share travel recommendations that we have personally tried ourselves and enjoyed.